Summer is almost over and now my favorite season is about to appear! I have a sister in Vermont and the leaves are already changing if you can believe it. Anyway, I am slowly re-decorating my mantles, tables, walls, etc… But here is one thing I have recently completed. 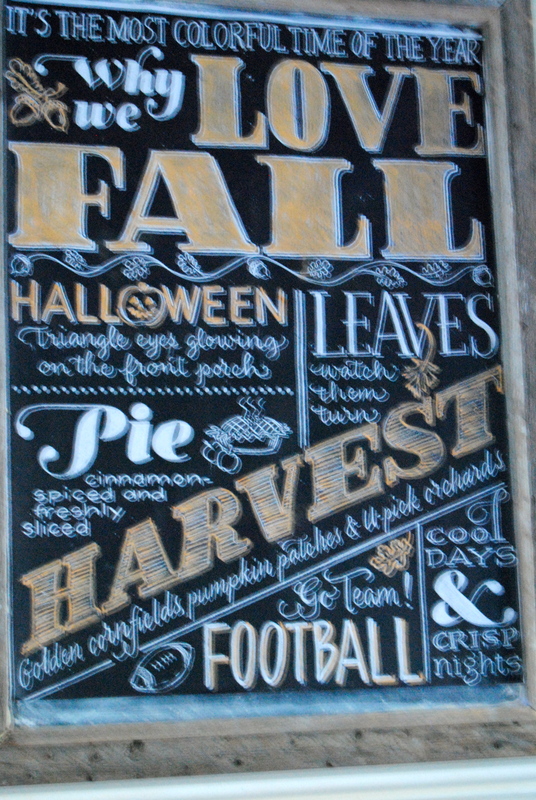 As you may know, I love chalkboard art and typography. But, I am no where near being able to free hand writing or drawing. 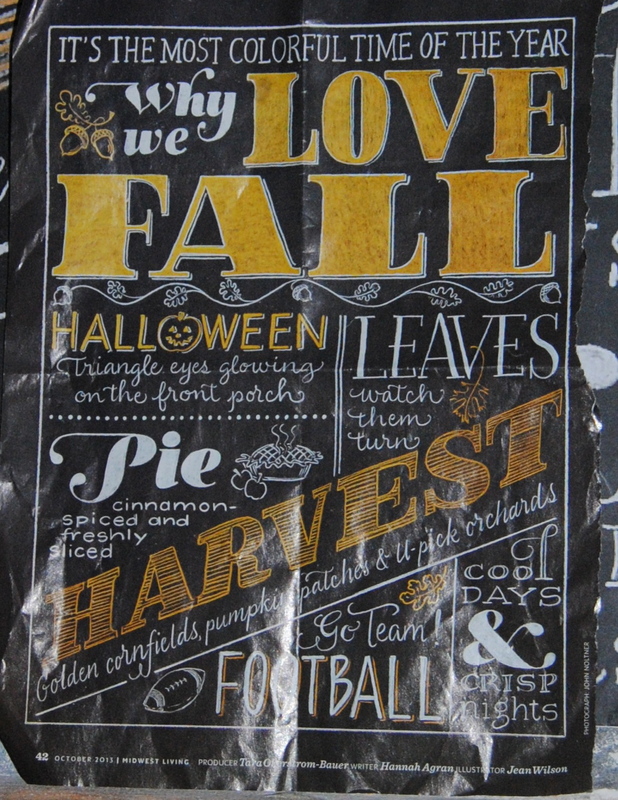 So, as I was perusing through one of my many home magazines, I saw this……. 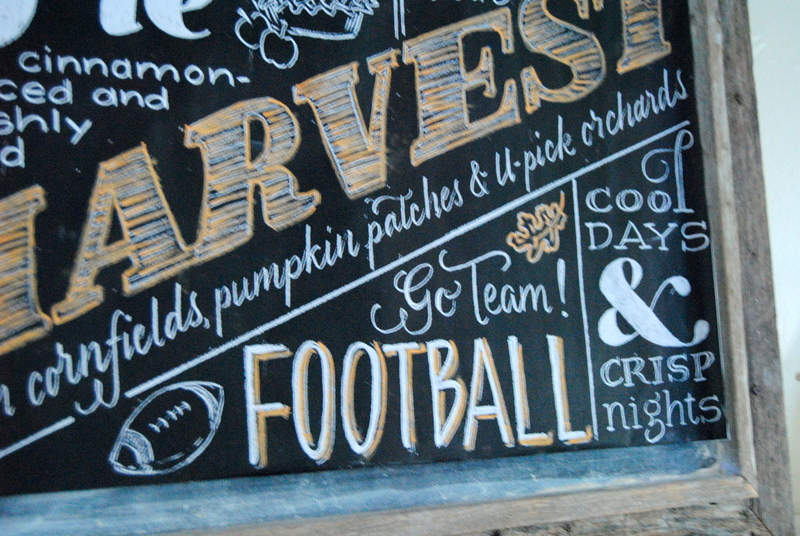 So, usually when I change my chalkboard I get the print blown up and then trace the print. But, when I had this print blown up it came out fabulous. So for the heck of it, I placed the print on the board and looked great. The print came out black and white so I added the color over the paper with chalk. Voila! Sorry for the blurriness, didnt look this way in my camera! 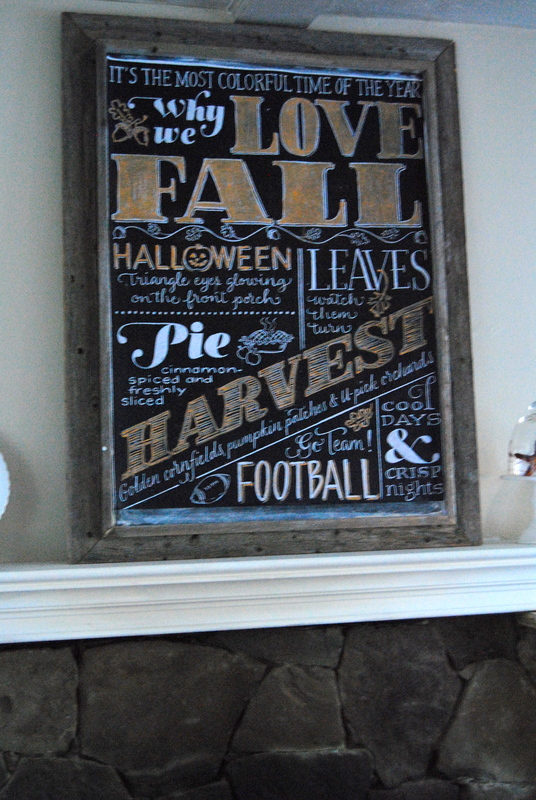 I guess some will say thats the “Lazy mans” or “Womans” way to chalkboard masterpieces but this was just too easy. If I didn’t fess up, I bet you wouldn’t even be able to tell unless you up real close. I blew it up to 24X32 for $3 at Staples.Bargain!! 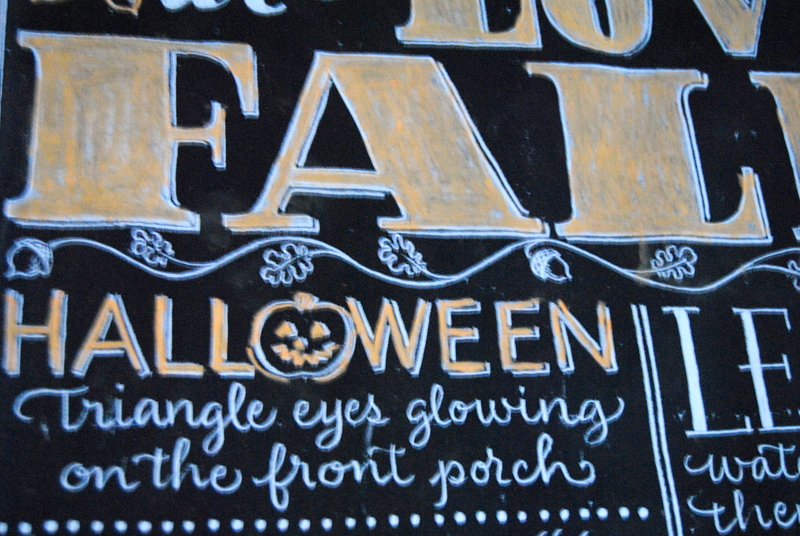 Pottery Barn Favorite Has Arrived! I love the orange added in! !